In the South Part of India, this state has always been the most serenely attractive place for most of the travelers. The state is known for its huge network of beautiful backwater along with the pleasant aroma of spices and heavily covered hills with tea at the Western Ghats. This short package of 2 nights and 3 days includes the beautiful view of the sea in Alleppy the Houseboat for a 20-hour long cruise through the world famous backwaters of Kerala. Houseboat (Kettuvalloms) is an indigenously developed and designed a private boat with fully furnished spacious bath attached bed rooms, hygiene kitchen, dining area and private front deck to capture the beauty of the backwaters and Munnar, This small town in the Western Ghats which is famous for its picture book towns, mist clad hills, sprawling tea gardens, sanctuaries and above all the climate is one of the most sought after tourist destination in India today. So, Rover holidays offers you this exclusive Kerala tour package. Book now!! You are greeted on arrival at the Cochin international airport /railway station and transfer to the Alleppey Houseboat.By noon check in to the Houseboat for a 20 hour long cruise through the world famous backwaters of Kerala. Houseboat (Kettuvalloms) is a indigenously developed and designed private boat with fully furnished spacious bath attached bed rooms, hygiene kitchen ,dining area and private front deck to capture the beauty of the back waters. The cruise through palm fringed narrow canals, the unique life of the backwater people and above all the nature around you will make long lasting impressions in your mind. Overnight stay in a houseboat. Relish your Kerala breakfast, Checkout of the houseboat at 9.00 am and transfer to the resort in Munnar. 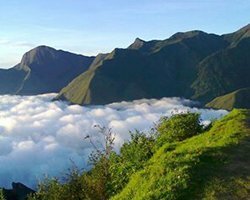 This small town in the Western Ghats which is famous for its picture book towns, mist clad hills, sprawling tea gardens, sanctuaries and above all the climate is one of the most sought after tourist destination in India today. By noon check in to the hotel. Later proceed to Mattupetty & Kundala Dam were you can enjoy boating through the reservoir flanked with tea garden on one side and never ending Grass land on the other. The Echo point, famous for its echo phenomenon is a famous halting point for the tourists, Rose Gardens, Shooting Point and Tea Plantations. Evening back at the resort to enjoy your cool stay in Munnar. After breakfast proceed to Cochin Airport / Railway station with ever lasting memories of a holiday you will never forgets. End of services. Well appointed above mentioned/base category room accommodation on twin/Triple sharing basis. Daily Buffet / Fixed Menu breakfast at the hotel. For 2-3 pax A/c Indigo/small sedan vehicle for all surface transfers & sightseeing for the above mentioned places. Mandatory Christmas & New Year Eve Gala Dinner would be charged extra. Entrance fees to Amusement parks & Boating charges other than that which is mentioned in the includes. The above package is only an offer and not a confirmation. We shall proceed with the booking only after we receive confirmation your end. Check-in time at the hotel is 14.00 hrs. The Eravikulam National Park, Munnar, will remain closed from 01 Feb to First Half of April of every year. Important Information about Kerala Houseboat services. Check-in time at Houseboat is 12.00 hrs. & Check-out time is 09.00 hrs. Houseboat will be stationed at one place from 6:00 pm to 8:00 am next day due to Govt. restrictions. Houseboats are accompanied by navigator, cook and a helper. In Deluxe category Houseboat, A/C will be operational from 9.00 pm to 6.00 am next day. In Premium Houseboat, A/C will be operational as per guest request anytime. No two houseboats are of same size and quality. The interiors of two houseboats also varies. Houseboats are for exclusive use and not shared by other guest unless specified. Guest are requested to carry mosquito and insect repellents since at night the boat are anchored along the waterway. Always keep the door of the bedroom and washroom closed to avoid mosquitoes and insects . Choices of food are limited and mostly South Indian food are served. Quality of houseboat cannot be compared with that of hotels, where the guest were staying previously. Houseboat rooms are small in size and have basic amenities. 30 days or more before departure:25% of total cost. 29-16 days before departure: 50% of total cost. Less than 15 days before departure: 100% of total cost. At the time of booking/confirmation:50 % of total cost. After 05 - 07 days of booking/confirmation:50% of total cost. Less than 15 days before departure:100% of total cost. Minimum Cancellation (Processing Fees) is Rs. 1500.00 per head Per Tour. Minimum Cancellation (Processing Fees) is Rs. 2000.00 Per head Per Tour. 45 - 30 Days prior to Tour Start Date 50% of full tour cost. 29 - 10 Days prior to Tour Start Date 75% of full tour cost. 09 - 00 Days / No show 100% of full tour cost.